Raise your hand if you’ve found yourself in a stagnant quiet time. Um. Yep. Been there. We have ALL been there! And it can be hard to figure out how to breathe brand new life into your morning reading routine without just reaching for another devotional-of-the-day. I know. I get it! If that was you this morning, I have a FREE gift for you! 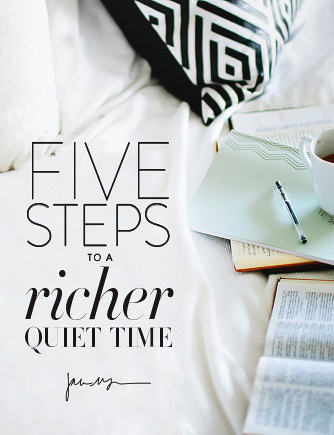 I sat down and pulled together my top five tips for a richer quiet time in one handy eGuide!